Ciara Thurlow, left, is the new head coach of girls’ lacrosse at Greens Farms Academy. Halley Quillan Griggs, right, is the associate head coach. WESTPORT - The Greens Farms Academy girls’ lacrosse program is headed in an exciting direction next spring with the addition of two new coaches to lead the program. 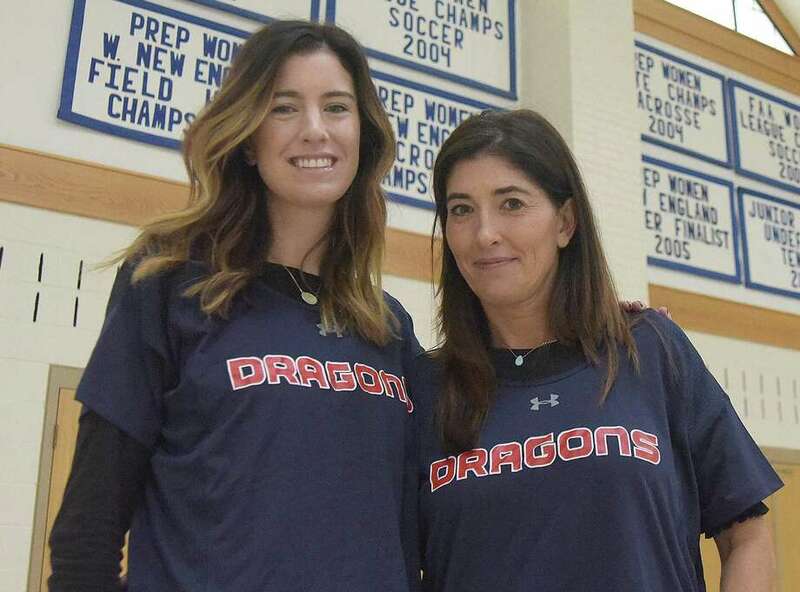 Ciara Thurlow has been named as the head coach of the varsity girls team, and Halley Quillinan Griggs will serve as the associate head coach for the Dragons. Thurlow, a former player from Villanova, helped turn Wilton High School into one of the most competitive lacrosse programs in the state of Connecticut, winning three FCIAC titles, two state titles, and holding a record of 148-33-2 from 2002-10. For the past eight years, Thurlow has coached for Darien Youth Lacrosse, where she also serves on the board of trustees, but is keen to return to coaching high school. Griggs is a former All-America player out of Syracuse, and a midfielder on the 2008-09 US National Team. She has coached youth lacrosse since 2006 for various programs throughout New York, Massachusetts, and Connecticut, and is excited for the opportunity to coach at the varsity level. Thurlow wants to begin to build the program in numbers and depth, knowing that through hard work the success will follow.